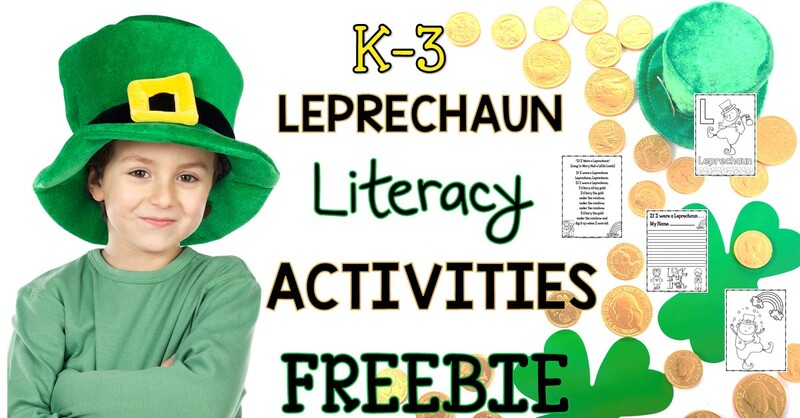 It’s March and time for some Leprechaun fun Literacy Ideas and a Freebie! I know how hard it is to keep little hands busy learning all day. I also know that many of you are teaching students who’s abilities range from below grade level to above grade level and everywhere in between. So, I thought it’d be a good idea to give away a freebie that would give you some options in your literacy activities during group work, shared reading time and writing centers and stations. 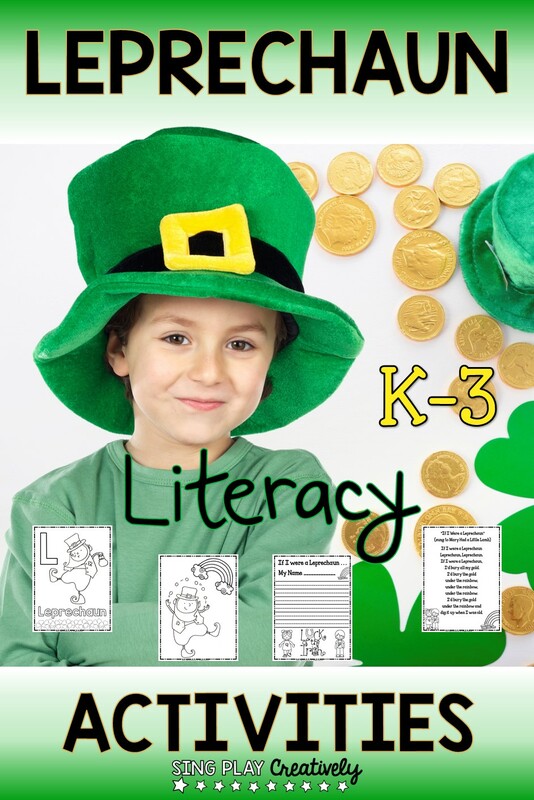 Using Leprechauns as a theme in your March activities will ensure student engagement. Try using the “craftivity” at the beginning of your St. Patrick’s Day themed activities and that way you can have students playing the games all throughout the month. Finish off the month with the writing activities. You’ll want to subscribe to my newsletter to be on the list for more Freebies like this one. I love integrating Themes with learning-don’t you? Did you know that Leprechauns are a type of fairy in Irish folklore? According to legend if a human catches a leprechaun that leprechaun must grant that human three wishes in exchange for his freedom. 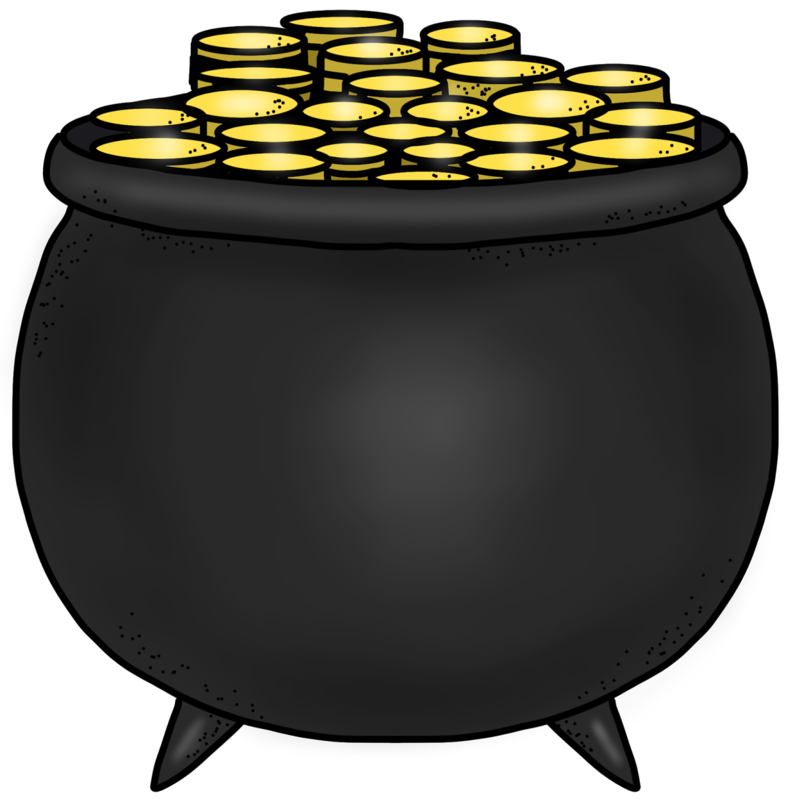 Leprechauns hide their gold coins in a pot at the end of the rainbow. Leprechauns originally wore red, a three cornered hat, black leather shoes and silver buckles. Leprechauns dance the Irish jig so much they wear out their shoes. The original name for Leprechaun was lobaircin meaning a small-bodied fellow. Many stories say that Leprechauns are mischievous creatures. If you catch a Leprechaun, you can barter with him for three wishes. Leprechauns make “tap, tap, tap sounds” like the sounds of a tiny hammer mending shoes. There’s a famous cereal (Lucky Charms) that has a Leprechaun for a mascot. Leprechaun stories teach us that greed and “get rich quick” schemes are folly. 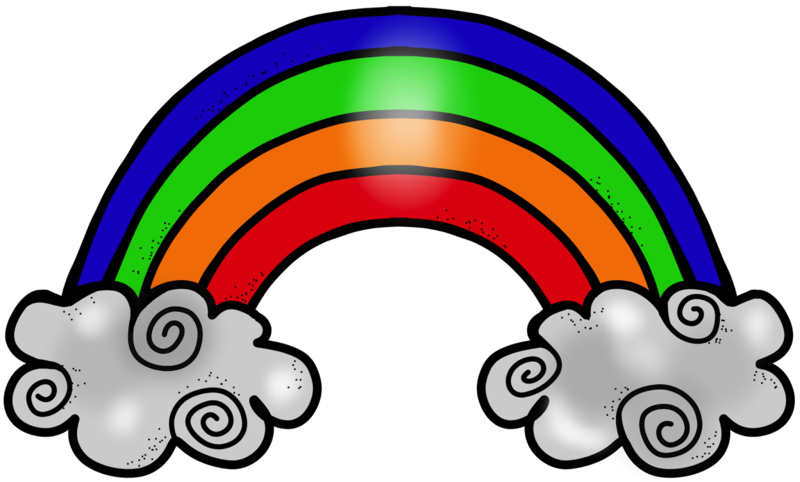 My thought is to save your “gold coins” under the rainbow, or, in a bank, and you’ll have plenty ‘O money for a rainy day. 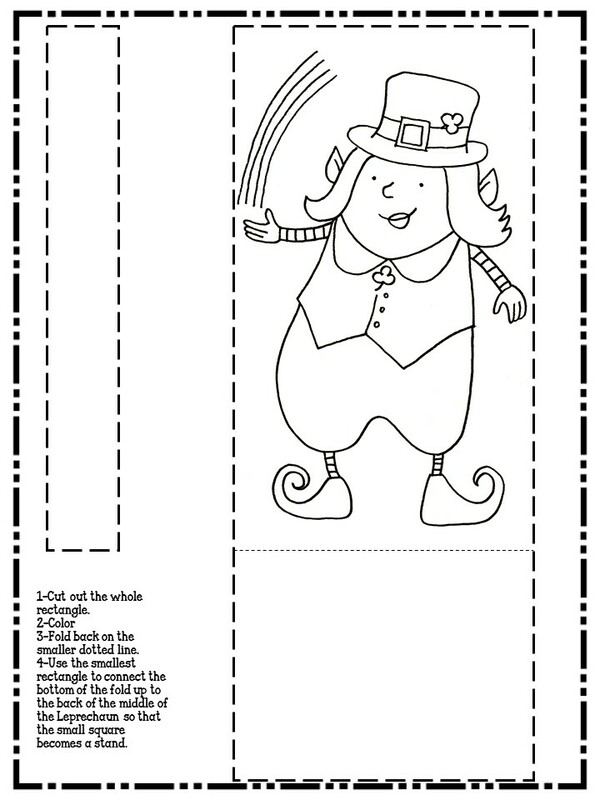 Students may enjoy coloring these fun Leprechauns after they’ve finished their seat work. You many want to finish off March with one or two of these fun games. to see which team can be the Leprechaun? UP: Put the Leprechaun hat and the pot of gold on a chair for each team. the students into 2 lines and GO! the class into 2 teams. the other students close their eyes. Leprechaun hides a coin somewhere in the classroom. Team get’s 20 questions to find the gold. questions have to answer ‘YES’ or ‘NO’. you share it before I’m old? spot, the chaser gives up his gold. has the most gold at the end of the game is the winner. Use this original poem and Song as part of your Literacy stations and reading centers. And–I know you want students writing every day! One thing that I know students love to do is to hide things. Make this little leprechaun and let the students hide him every day. You could tell them that for every day they find him, they earn points and their points equal a Leprechaun party at the end of the month. Or, you could say they earn points when behavior is GREAT! If you like this Free Resource you can Share this Image on Instagram! Share this one on Pinterest! Share this one on Facebook! 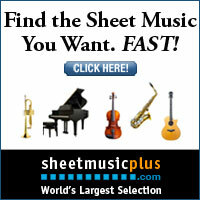 SING MOVE AND PLAY YOUR WAY TO IMPROVED LITERACY SKILLS. BE SPONTANEOUS-BE SILLY AND SOME MORE B’S to think about….